Confused About A Payday Loan Consolidation? You're Not Alone. A payday loan is a high-interest, short-term loan. Due to their steep interest rates, they have a bad reputation. But like all types of lending, payday loans have their purposes. If you’re in a bind and need some quick cash to float you to next pay period, a payday loan can be handy. They’re usually capped at $500 but maximums can vary depending on the lender. And that amount is determined by a percentage of your paycheque. .
Fortunately, there are a variety of debt relief choices available to consumers. By educating yourself on payday loans, you can avoid getting into debt or making a poor decision. Below, you can find all the information you need about payday loans. Payday loans are a quick and easy way to get cash. This can help you if you don’t have many other financial options. Financial Emergencies. Sometimes life happens and an unexpected expense will pop up. Payday loans are good for paying a medical bill, car repair or one-time big expense. No Credit Card or Savings. If you don’t have a credit card or savings account but need to finance something, payday loans are a good alternative. Poor Credit. Individuals with poor credit can easily access this type of financing. Payday loan institutions do not perform traditional credit checks. Obtain Easily. To get a payday loan, you need to be of age, have a stable monthly income, identification and access to a bank account. Nearly everyone has all these things, making payday loans easy to obtain. No Collateral Needed. Payday loans don’t require the use of collateral or security. This means you won’t run the risk of losing assets such as your house or car. Avoid Irrational Borrowing. Sometimes people take on more debt than they can afford or handle. Payday loans are a percentage of your paycheque. 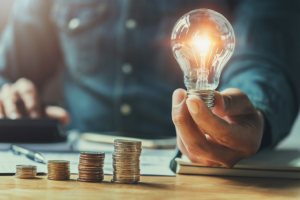 Despite the negativity surrounding payday loans, there are legitimate reasons why this type of financing is not always ideal. Generally, people can get more than they bargain for when using payday loans. Required quick repayment. Payday loans must be repaid quickly. If they aren’t, there will be significant interest and fee penalties. Payday loans are notorious for high interest rates. In addition to interest, payday loans also have other fees. Both factors make payday loans expensive. In fact, the interest can be anywhere between 300 and 600 percent. To put things into perspective, credit cards usually have a 19 percent APR. Easy to fall into a cycle of debt. Payday loan lenders profit off individuals who cannot repay their debt. When you extend a payday loan, the lender is making substantial profit off the interest and fees you pay. By extending the loans, you are risking falling into a downward cycle of debt. Deceptive lenders. Payday loan lenders can be deceptive in the way they present themselves. They can also be deceptive in how they disclose information. These lenders are aware of how difficult it is for their borrowers to defend themselves in court. They use this to their advantage. Can’t solve big financial problems. 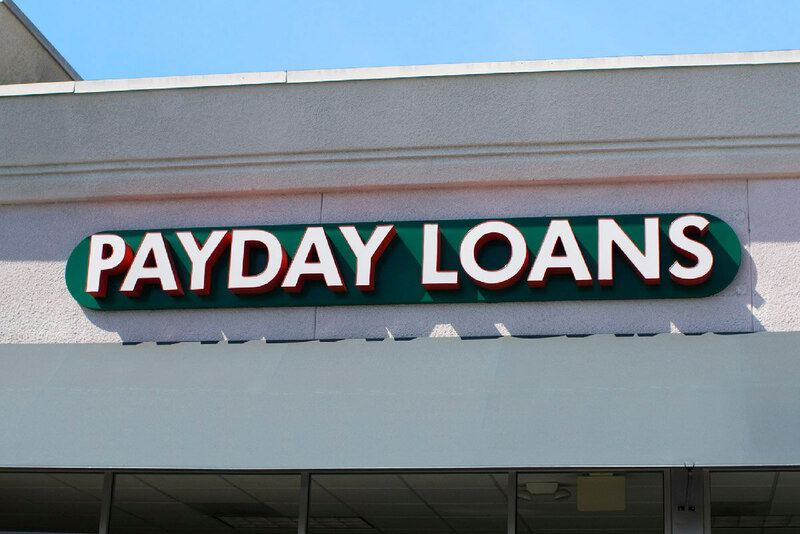 Payday loans are relatively small, meaning they won’t solve big financial problems. Yes, it is quick cash, but if you already have big financial problems, getting a payday loan won’t help. Since there is a lot of risk associated with payday loans, you may need debt relief assistance. If you’ve tried to pay off your payday loans with no success, consider using one of the debt relief options below. The simplest way you can deal with payday loan debt is to pay it off immediately. Even if you must dip into savings, it is worth it to have the burden off your back. If you don’t have savings, consider working extra hours or getting a side job to make up the money. Cutting down on unnecessary expenses and saving whatever you can will help, too. The process of grouping your loans together into one big loan is debt consolidation. The benefit of using a consolidation loan is lower interest rates and payments. Finally, a consolidation program may even help build your credit score. Individuals with bad debt may need to go a step further and use a debt management program. With a debt management program, you work with a credit counsellor. They will help you manage your debt by negotiating with creditors. Part of the negotiation process is working out a payment schedule instead of one lump sum. Using debt management programs can affect your credit score. Once you pay off your debt management program, it will remain on your credit report for two years. For severe debt circumstances, a consumer proposal or bankruptcy may be necessary. Both options are legally binding processes. You work with a Licensed Insolvency Trustee, LIT for short. Using either of these options will result in payday loan debt settlement for good. Once you start the process, lenders cannot contact you for payment any longer. They must accept whatever payment offer extended to them from the LIT. However, there are repercussions on your credit score. A consumer proposal will remain on your credit report for 3 years after discharge or bankruptcy will remain on your credit report for seven years after discharge. Be sure that you are ready for the repercussions given the lasting impact it will have on your credit. The process of payday loan debt consolidation is simple. Your first step is to gather all the information you have on the payday loans and other unsecured debt you owe. Once you have the details of who you owe what , add everything together to obtain a final number. Next, you need to reach out to lenders to get a loan for the total amount you owe creditors. Once you get approved for that loan, use the funds to pay off your payday lenders and other debts. From there, you will only be responsible for paying the large loan. It won’t be challenging to get a loan that is more affordable compared to your payday loans. However, interest rates are still quite high on debt consolidation loans. Naturally, everyone wants low interest rates and small monthly payments. 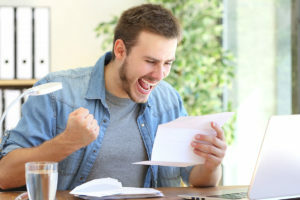 To get the best deal possible, reach out to several lenders – debt relief companies and banks –and obtain offers from them. Once you receive a couple offers, compare them to see which one suits your needs best. Cost is likely a major consideration but think of other factors as well. Be sure to consider collateral requirements and repayment periods, as well. After you’ve narrowed down your options, it’s time to negotiate with lenders. If you want a lower interest rate or different repayment periods, you will have to offer something up. In the interest of time, offering an improvement in your credit rate likely won’t be plausible. Instead, consider offering an asset as collateral. You risk losing the asset if you default on the loan. If you don’t have collateral, inquire with the lender about how you can get better loan terms. Unfortunately, you won’t always be able to negotiate better loan terms. Individuals with debt resulting from payday loans are not exactly ideal candidates. Loan consolidations are a great stepping stone to a better financial future. At the very least, you are getting a better interest rate than your payday loans. In addition, payday consolidation loans tend to have a small principal. This means that your repayment loan won’t be excessively long, and you’ll pay down the debt in no time. From there, you can take progressive action to better your credit score. Is my lender licensed by the Canadian Consumer Finance Association? The Canadian Consumer Finance Association (CCFA) is a body that works with both federal and provincial levels of government. The CCFA has a mandate to protect consumers. They do this by using a regulatory framework, which also ensures that the industry can continue to function and operate. Usually, the CCFA represents retail financial service outlets. These outlets typically offer small amount, short-term credit – including payday loans. Lenders that are CCFA members have multiple benefits in the market to consumers. CCFA members must abide by the policies made by the regulatory body. Also, they must adhere to its code of ethics. Finally, these lenders have access to resources and information offered through the government organization. Not all lenders have access to these resources. All these actions ensure that the lender is treating consumers responsibly. CCFA lenders strive to work with consumers in a responsible manner being mindful of a consumer’s rights. When a lender has the representation of the CCFA, the consumer has a certain level of assurance. The consumer can be confident that the lender is operating fairly in the market. If you want to know if your payday loan lender is a CCFA member , you can look it up on their website by using this link. Technically speaking, there is nothing wrong with a lender that is not licensed by the CCFA. It merely means that they do not adhere to the framework and code of ethics created by the CCFA. Instead, the onus is on you to get the appropriate information from the lender. You will need to ensure you understand all the terms and conditions. Otherwise, if you accept the loan, you may discover some of the information was deceptive. As a result, you will be stuck with the terms you signed to. Be wary of these lenders. Can I go to jail for nonpayment? The short answer is no. You cannot go to jail for not paying your debts, particularly for payday loans. Although, you can go to jail for not paying taxes or failing to pay child support. One thing that lenders commonly do is send your debt into collections. They often do this when they have no other options due to lack of communication. While you won’t go to jail for debt in collections, it will have an impact on your credit score. Although you may not go to jail for failing to pay your debt, there could be other legal consequences. A debt collector can sue you for debts that you owe and obtain a judgement against you. To avoid this type of consequence, try your best to communicate with lenders. This includes payday loan lenders. Often, they want to know when to expect payment.. Lenders are people too. They usually understand if you’re experiencing financial trouble. If you do not communicate with lenders, they may assume the worst. And when that happens, they may take more severe courses of action, such as suing you. Have additional questions about payday loans? Reach out to Consolidated Credit today to have your questions answered!